Experience three unforgettable nights in Masai Mara, at Mara Explorer Safari Camp, a small, luxurious Tented Camp in the heart of this world famous game reserve. 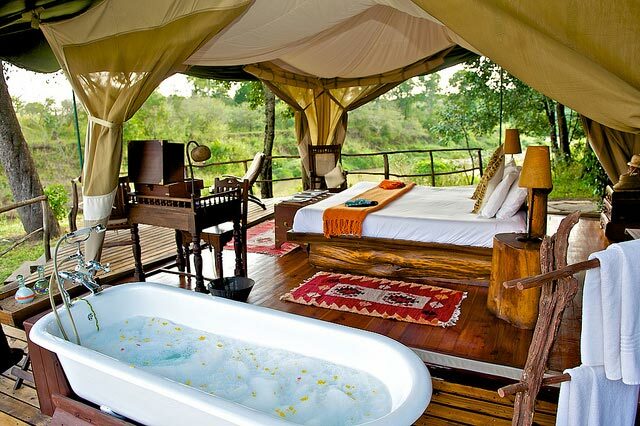 This boutique camp is one of the most acclaimed properties in the reserve, set besides the Mara River. 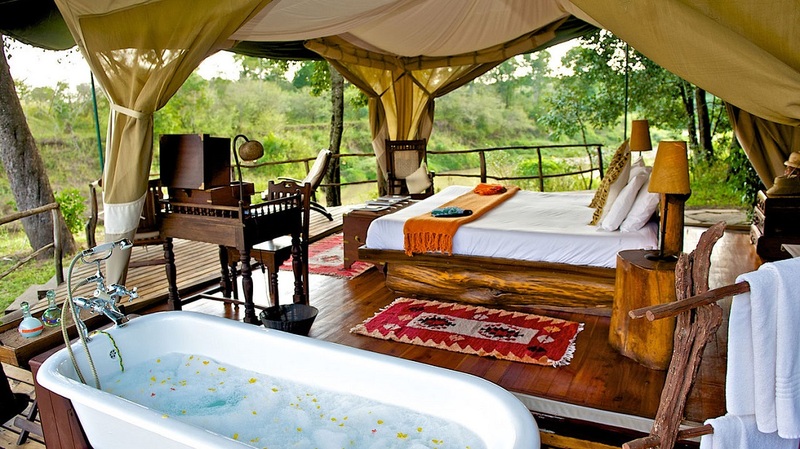 - Stay at one of the best camps in East Africa, with a footprint of only 10 river-facing tents. 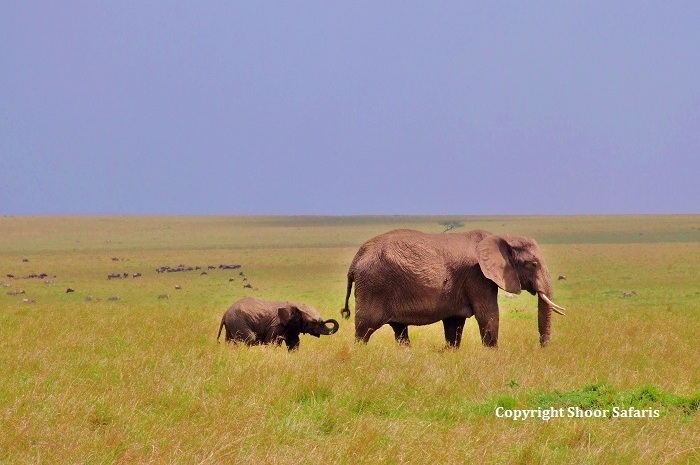 - Explore the Mara, spot the magnificent wildlife and enjoy the stunning landscapes. - Fly over the African savannah in a Hot Air Balloon at break of dawn – end the flight with a ‘Champagne Breakfast in the Bush’ complete with wait staff. - Embark on up to three Safari drives daily. 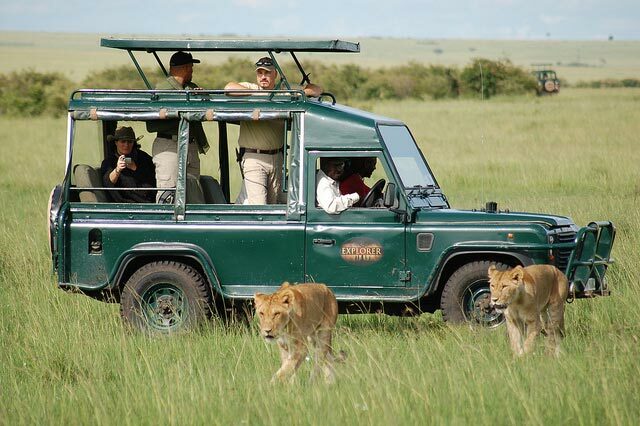 Safari drives are provided by the Camp’s 4x4 Vehicles and their expert Driver-Guides. - Glimpse into the unique, traditional lifestyle of the Maasai tribe during an informal, fun visit to a traditional Village. - Close to Nature – Enjoy a guided Bush & Bird walk in the morning. - This is a Fly-in Safari with minimized road travel within Kenya. Upon arrival in Masai Mara, you will be received and transferred from the airstrip to your overnight Tented Camp by the camp’s Driver-guide in a 4x4 safari vehicle. Your overnight camp is a small, boutique property which offers beautiful views of the Mara reserve. Proceed for lunch [ in case of a morning flight arrival] and enjoy leisure time at the camp. Experience your first Safari game drive late afternoon [typically 3.30pm] during which you explore the surrounding parts of the Mara and see its amazing wildlife. Return to the camp by evening [ typically 6 to 6.30 pm] in time for dinner. Begin your morning with a spectacular Hot Air Balloon flight at the break of dawn – ‘float’ gracefully over the scenic African savannah teeming with wildlife. The balloon takes off approx 6 to 6.15am, which means you will be collected from your camp around 5.30am – yes, an early start but so worth it ! The one hour flight ends with a ‘Champagne Breakfast in the Bush’’, at your landing site. Return to the Camp for the rest of the morning at leisure – or you could choose to enjoy a mid morning game drive of you so wish. There is a swimming pool at this camp’s sister property nearby and they will take you there upon request. After the sumptuous lunch, take a mid afternoon safari game drive to further explore the reserve. Return to the camp by evening [ typically 6pm] in time for a relaxed evening which may be enlivened by entertainment provided by the lodge, followed by dinner. Full day in Masai Mara. Enjoy an early morning game drive before breakfast. Most animals are active at this time of the day and you therefore are likely to see plenty of game. Return to the camp for a relaxed breakfast. You may schedule a visit to a nearby Maasai Village with the Camp Manager – this, typically one hour visit provides a fascinating insight into the day to day life of the famous Kenyan tribe, the nomadic Maasai. You also get to see their unique mud dwellings – the Manyatta huts. Enjoy an afternoon safari into the reserve. Return to the camp by evening [ typically 6 to 6.30pm] in time for a relaxed evening , followed by dinner. [** Upon availability and a minor additional fee, we may be able to book the 4pm outward flight to Nairobi instead]. [ with just yourselves in the vehicle along with the Driver-Guide] are available at additional cost, subject to availability: This may also include a full day Safari game drive with a packed Picnic Lunch served under a tree on the Mara plains. - Accommodation as specified in the itinerary on Fullboard* basis in the Camp. 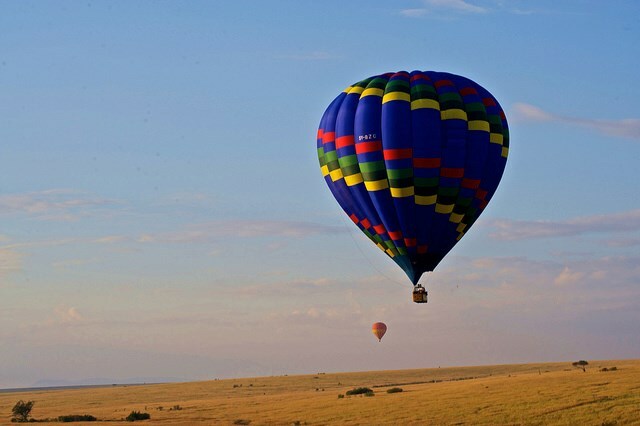 - Hot Air Balloon flight in Masai Mara including Champagne-style Bush Breakfast. - Upto 9 Safari gamedrives for the tour, provided by the Camp in their 4x4 Safari vehicles. - Services of Professional, English-speaking Driver-guides during the game drives. - ALL Park / Reserve entry fees. - Maasai Village Visit including transfers and contribution fee. - Bush Breakfast or Bush Dinner subject to weather and pre~booking. - Bird & Nature Walk led by the Naturalist / Camp Guide. - Selected Drinks such as Soft drinks, Tea & Coffee, Local Beers, House Wine and Bottled Water. - Flying Doctor Evacuation Cover service. - Tips, selecteddrinks, calls, and all such costs of a personal nature.